What’s makeup’s worst nightmare? A MAC Wipe! 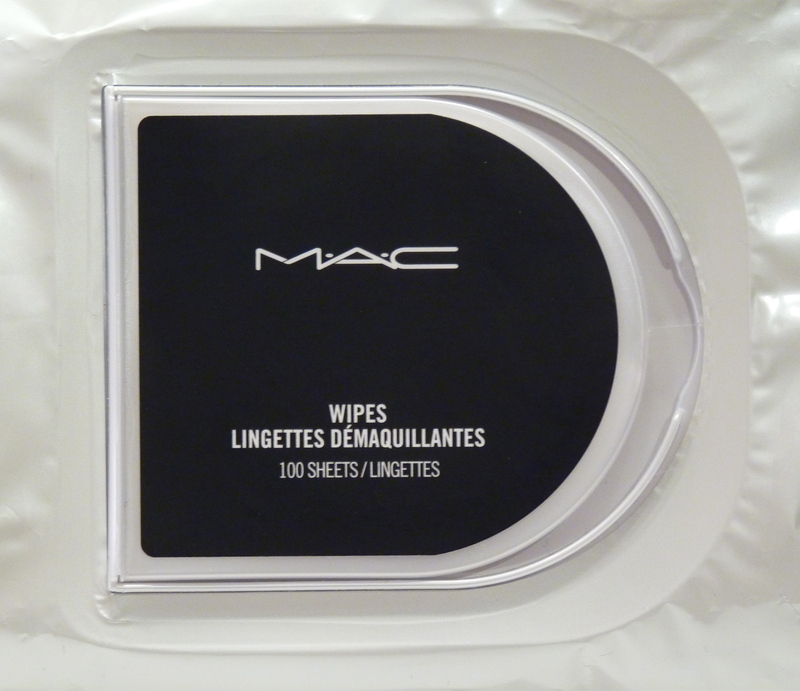 Whenever I’m in a rush to remove my makeup after a long day, I cannot help but reach for my MAC Wipes ($15 USD for 30; $20 USD for 45; $29 USD for 100). These little gems are supposed to “swipe away makeup, smudges, dirt, and grime, while hydrating and nourishing highly effectively,” and that is exactly what they do. They are not meant to be used around the eye area. Although, to be honest, I use them all the time to remove my eye makeup, but I understand why it is not recommended (more on that later!). I love how effortlessly these soft, sturdy cloths remove even the most tenacious long-wearing products. When removing my eye makeup I press these over my eye for about 30 seconds, to let the cleanser sink in, and gently wipe away shadows, mascara, eyeliner, and the like. Using circular motions, face products are easily swiped away. I generally use two wipes to remove my makeup (three if I’m wearing heavy eye makeup). As stated in the company’s claim, these are very hydrating. My face never feels stiff or dry after using these. Some may not like the slick, almost oily, residue that is left behind after use. I notice this more on my face than on my hand or arm (after removing swatches). After using any oil-based makeup remover, I always follow up with a water soluble cleanser to remove any oily reside, or makeup I may have missed. My only gripe with a MAC Wipe is how much fragrance one has! It’s similar to the rose/floral scent that is in some of their mascaras/brow gels. From doing some research, this seems to be the only problematic ingredient and might be why there is a disclaimer for using it around the eyes. Again, I personally have not experienced irritation when using this to remove my eye makeup, but I am NOT going to recommend you use it that way. Please use your own judgement. If you do decide to try these, and love them as much as I and many others in the beauty industry do, I highly recommend purchasing the bulk size (100 wipes). 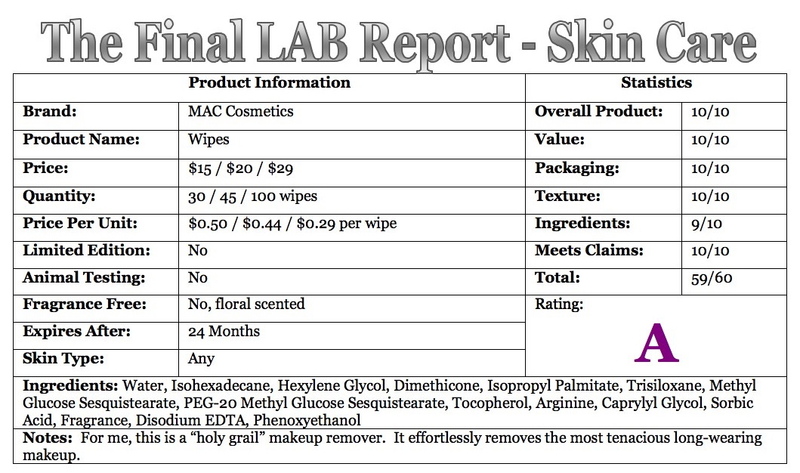 Compared to many popular drugstore brands, they end up costing only a few cents more per wipe and the packaging keeps them very moist. I store mine upside down in a drawer and have never had them dry out.